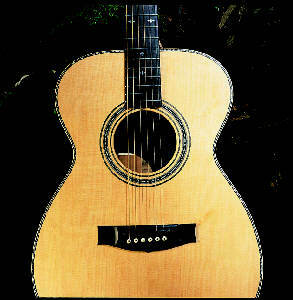 Maton has been manufacturing since 1946 and remains a family owned business. 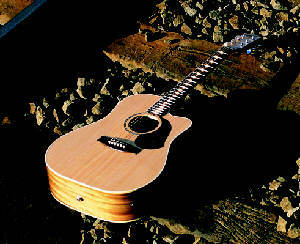 Maton is currently the preferred and most popular quality guitar in Australia. Maton specialise in creating superb guitars from fine Australian timbers such as Blackwood, Bunya, Silkwood and Queensland Walnut. They are the only manufactuers in Australia to use the most advanced CNC and CAD design process to ensure the best quality in every Maton guitar. Their guitars are played by many notable Australian artists and is widely-acclaimed throughtout Australian for their superb quality as it matches or exceeds many of the American-Made Guitars. 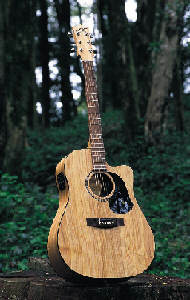 Their quality are ranked on par with Talyor and Martin Guitars but their prices are extremely affortable. 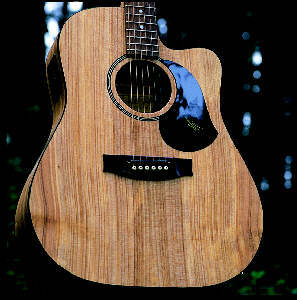 Maton's policy of guitar-making -- to build the finest quality hand-crafted guitars at an affortable price. Visit www.maton.com.au for more info. Upgrade to Hardcase at only S$80.00! "If you are looking for a quality guitar below S$1000, being Maton's entry level guitar,this is the most value-packed quality guitar I had ever seen." production for over 40 years. 100% solid body." 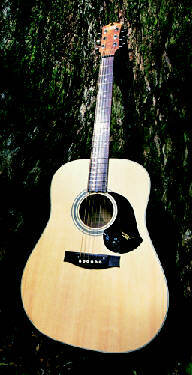 "Bluegrass Series.With a smaller body makes it more ergonomic and provides a strong midrange response. Excellent for studio use."